Use this worksheet for regular practice or use it as a test. Present and Past tense is tested. This downloadable worksheet is a great resource for high school students, elementary school students and adults at Elementary (A1), Pre-intermediate (A2), Intermediate (B1) and Upper-intermediate (B2) level. 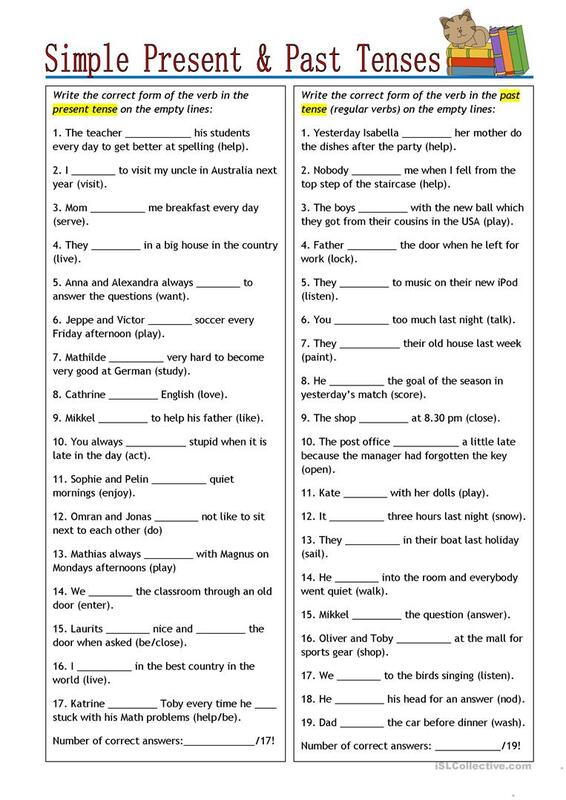 It is valuable for consolidating Verb tenses in English, and is a valuable material for developing your groups' Spelling, Reading and Writing skills.